Are you fed up with your TV connection quality? Or have you unknowingly making your TV to suffer due to the default in your Antenna? Then it’s the right time for you to get upgraded with the best HDTV antennas. 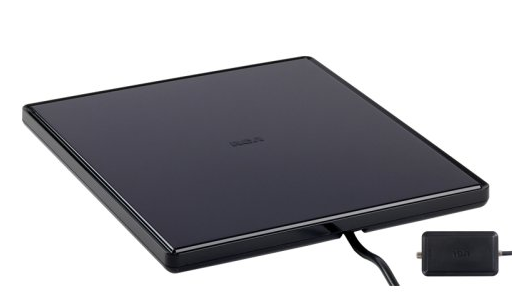 And if you are planning to buy a new HDTV Antenna but you have no idea on which one to go for? Then we are here to help you with this. Before buying your HDTV antenna, you have to make sure which one to buy and why? If you are staying miles from the broadcasting tower and you are having a lot of obstructions, then you can go for outdoor antenna. Outdoor antennas have larger reception and amplification capability but at the same time they are larger in size and takes larger space to install. Outdoor antennas are made for best performance. Indoor antennas are smaller and easier one to install and are available in number of models. In most of the cases you will be having only one option, indoor antenna. I also prefer you to go for indoor antenna. You may find an antenna working very well in some places while the same antenna may not work fine your case. It is because of the fact that the signal received by the antenna depends on various factors. Not only the broadcasting signal strength and signal receiving capability of the antenna affects your HDTV quality but also the beam area, directivity, antenna height, antenna angle, interferences and obstructions plays key role. Now as you know that same antenna that may works excellent at one place may not work at others. Thus it becomes necessary to check which antenna will work better for you. I will better recommend you to go through any of these websites to choose best suitable model for your area- TVFool.com, antennaweb.org, antennapoint.com, FCC’s DTV Reception maps. Now when you know well about various types of antennas and factors affecting its workability, you can now go for buying your best HDTV antenna. Let’s check, what are the finest models of HDTV antennas available online? These models are available at price ranging $30-60 on the internet. The price for non-amplifying antenna is even cheaper. I will recommend you to go through with amplifying antenna as it amplifies the signals and improves the signal quality. Amplifying antennas are somewhat expensive but gives better performance. The above given models are available in both amplifying and non-amplifying type. Broadcasting towers, receiving antennas and your TV, all the three of them should work properly to provide you a quality and noise-free service. antennaweb. In most of cases the broadcasting company and TV manufacturers are accused of their bad services, but it is the receiving antenna quality which is creating all these nuisances. From now you should better check your antenna instead of blaming your TV and Broadcasters. Just go through the above-discussed points and you will be able to buy the best HDTV antennas for your HDTV.